I am a graduating computer science PhD student at the University of Washington with an NSF fellowship and Microsoft Research PhD fellowship, advised by Shwetak Patel in the Ubiquitous Computing Lab. Within the broad spectrum of ubiquitous computing, my interests include computer vision, embedded systems, machine learning, HCI, and mHealth. 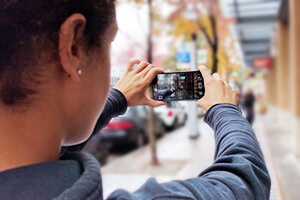 My research focuses on integrating HCI, ML, and computer vision to improve access to medical care with low-cost commodity hardware and mobile phones. Outcomes of my work are under active commercial development with the potential to change medical standards of care. I graduated from Harvey Mudd College in 2012 as a President's Scholar with a bachelors degree in Computer Science. I conducted research with Zach Dodds in Computer Vision for Robotics and Christine Alvarado in HCI and Computer Vision. 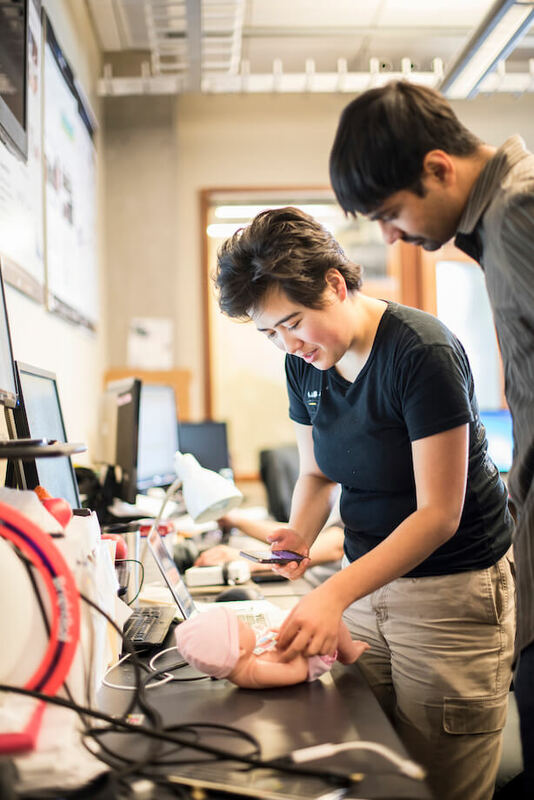 During an internship at Microsoft Research, I worked on improving CHAMP, a system for monitoring infants with single ventricle heart disease. I communicated with medical partners at Children’s Mercy Hospital, concretized technical goals, formulated methodology, wrangled and pre-processed data, developed prediction algorithms, and drafted the team’s future work. Insights from my work have already influenced clinical practice, with the potential for further impact as the project develops. Highlighted on MSR's Instagram. Publication in progress. 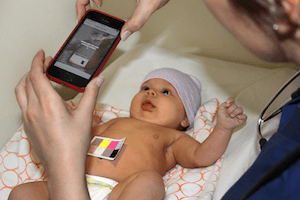 This project is follow-up work to BiliCam, in which we made modifications to the BiliCam system and ran larger study to validate its efficacy at screening newborn jaundice. This study spanned across 7 different sites around the country to broaden the diversity of skin tones in our dataset. From our dataset of samples from 530 newborns, BiliCam demonstrated medically accurate estimates. Our findings are published as a journal paper in Pediatrics, August 2017. 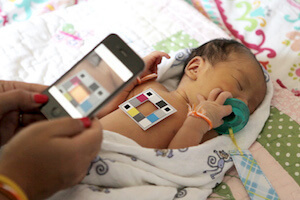 This project investigates how to use smartphone cameras to screen newborns for dangerous levels of jaundice — a medical condition characterized by yellowing of the skin. I work in close collaboration with UW Medical Center to develop data collection procedures and software, apply computer vision to parse images, and use machine learning to estimate jaundice levels. Work from this project was published as a paper in UbiComp 2014 with an Honorable Mention Award, and resulted in two patents, and current commercial development. During an internship at Microsoft Reserach, I conceived and developed a prototype of TeleTourist, a system that uses video calls with strangers to share experiences for people with mobility restrictions. I interviewed individuals with mobility restrictions as formative work, designed system features, and implemented a subset of them for a prototype. This project was published as a poster at CSCW '16 and resulted in a patent. 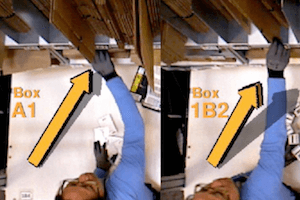 During an internship at Amazon I designed, developed, and evaluated eyes and head tracking related user interface elements to use in enhanced reality interfaces in fulfillment centers. I combined concepts from computer graphics with HCI to produce several prototypes and demonstrated the system in its intended environment. This work resulted in a patent. 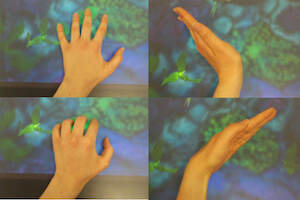 As part of a four-person team, I designed and developed technology to motivate and assess rehabilitation for stroke patients affected in their upper extremities, using the Microsoft Surface. 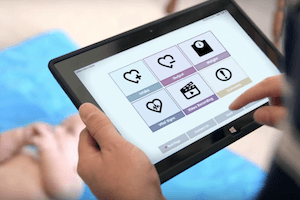 We interviewed stroke patients and physical therapists, designed a rehabilitative game played on the Microsoft Surface, produced a prototype, and ran user study with stroke patients. Our work was presented at CWIC '12 and published in a note at CHI '12. 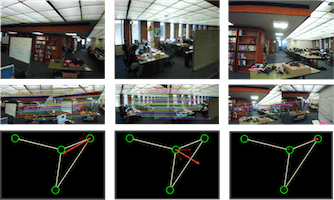 I created and explored vision-based localization algorithms for aerial robots as part of a team of five students. We prototyped autonomous cooperation between ground-based and airborne robots and demonstrated localization for a quadrotor helicopter toy using only a built-in camera. We presented our work as demos at GCER '11 and AAAI '11, a talk at CWIC '12, and a publication in TePRA '12. I helped developed software for tablet PCs to recognize and simulate hand-drawn logic circuits as part of a siz-person team. 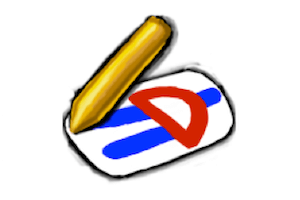 I specifically focused on methods to refine sketch recognition and refactoring code. I helped the team with user interface design and circuit simulation. The software was then rolled out and used in Harvey Mudd College’s introductory computer science course. I was part of a four-person team to design a device that automatically opens and closes a chicken coop for a client in Australia. With it, his chickens (a.k.a. 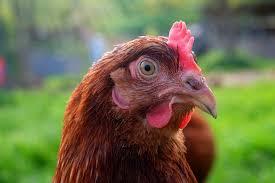 chooks, in Australia) could go outside during the day and be safe from predatory foxes at night, regardless of his availability. We designed and developed a system, including a functional prototype, regularly communicated with our client, and delivered a final tech memorandum & presentation. Over several years, I mentored four undergraduate students to participate in research projects. Through guidance and projects focused on real-world applications, I helped them understand research, learn and develop skills for applying computer vision or user-centered design, practice skills for working with iOS or OpenCV, and figure out future career plans. As a predoctoral instructor, I taught an course on the fundamentals of data structures and algorithms. As part of my role, I prepared and delivered lectures with interactive activities for a class of 67 students ranging from high school to graduate school students with a diverse set of majors; managed a team of 5 teaching assistants; prepared homework assignments; wrote, proctored, and graded exams; hosted office hours; and mentored some students one-on-one outside of office hours. My teaching was rated 4.4/5 by my students in the final course review. In a team with two other teaching assistants, I prepared and ran review sections, hosted and tutored students in office hours, graded homework assignments, and helped proctor and grade exams for a class of 78 students. I hosted and tutored students in office hours and graded homework assignments as part of a team of grutors for the second course in Harvey Mudd's computer science curriculum. To help students who entered Harvey Mudd College with less physics experience, I helped assist the first iteration of a one-week intensive workshop that took place during winter break. Rather than a comprehensive review of background physics, it focused on developing the tools needed to do the work in the physics course of mechanics (Physics 24). With one other assistant, roles included attending all class sessions, and tutoring students through exercises during class sessions and homework assignments.